Permanent Magnet Generators (PMG), also called Permanent Magnet Alternators (PMA), use the magnetic field of the rotor to provide a stable, reliable power source. Georator's NoBrush® 400 Hz alternators provide excellent voltage stability, eliminating the need for further regulation in most applications. PMGs are used frequently in industrial applications, like turbines and engines, to produce commercial electrical energy. 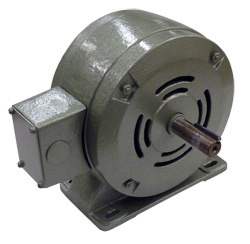 These Brushless Permanent Magnet Alternator Generators respond quickly to significant load changes, and produce an output waveform free from sharp peaks and spikes. EMI generation is very low; in most instances, it may be considered zero. Georator manufactures and supplies PMGs / PMAs for various industrial applications. Request a quote or speak to a sales representative about our permanent magnet alternators today.